I received a tip from CTMQ reader Mindy regarding this museum; “Being the huge nerd that I am, many hours were spent [at] the cool museum in the library. (Did you know about that one?) I love Plainville even if it is a little drunk and white trash.” Self-admitted nerd, fan of libraries, helpful tipster, and self-effacing humor. I like this Mindy. But was she telling the truth? 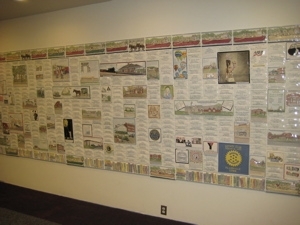 Many town libraries boast of “local history rooms” or little museum-ish corners. I’ve found many to be simply a collection of old books, maps and genealogical studies – not really CTMQ fare. Others, like the New Britain library (as one example) certainly do have what I would call a legitimate museum (CTMQ Visit here). But I had never heard of this place. Admittedly, I wasn’t too hopeful. And so, with about 5 minutes to spare at the end of my day long, tiring journey with freelance journalist Dan (thanks to an awesome shortcut driving back east through Bristol), we stopped at the library and feverishly searched for this place. 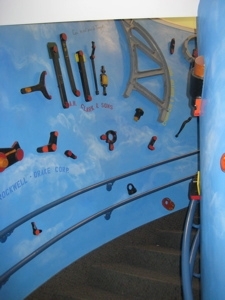 Down the creatively decorated staircase – let me interject for a moment. This staircase is pretty cool unto itself. It is decorated with all sorts of wooden replicas of machine parts that were created by the local Nutmeg Steel Foundry, which was founded hundreds of years ago. 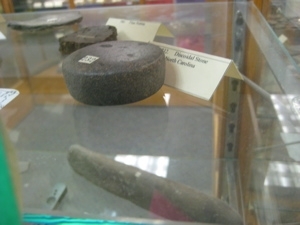 Many local businesses used parts made at the foundry, and those parts are recreated here. Neat stuff. Anyway, we went down to the Children’s Department, turned to the left and… There it was! in large letters high up on the wall was the word that draws me like a moth to flame: “MUSEUM.” Awesome. 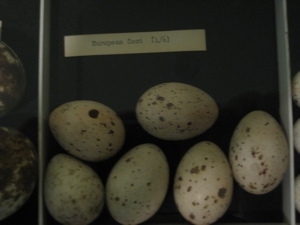 There, beautifully presented before us was a huge display case of bird eggs. 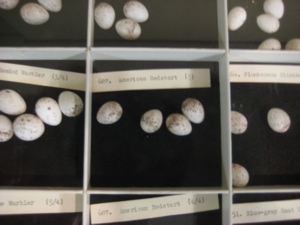 Lots and lots of birds’ eggs. 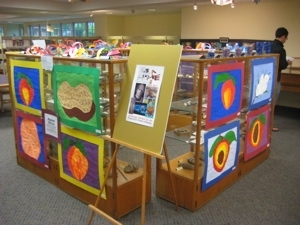 Welcome to the Plainville Library Museum! I don’t know why, but it exists! 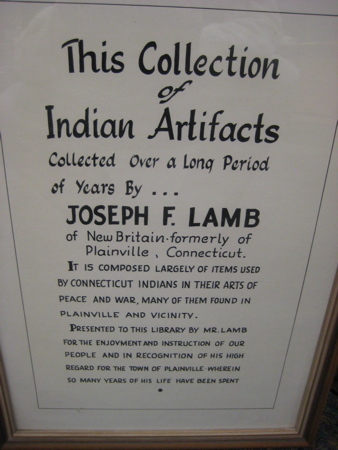 It turns out that this rather impressive collection was presented to the library in 1931 by none other than ex-Governor and Plainville hero, John H. Trumbull. 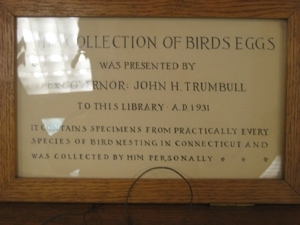 Not only was he an interesting fellow (more about him here, at the Plainville Historic Center visit) who was known as the flying Governor due to his passion for piloting planes (often from the oldest airport in Connecticut, also in Plainville here), but he was also apparently a voracious collector of bird’s eggs. 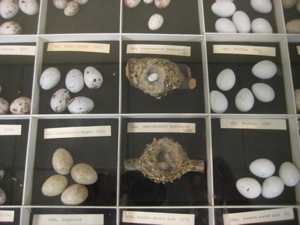 In fact, this collection is said to contain eggs from “practically every species of bird nesting in Connecticut.” The children’s department desk lady said that no one has ever counted how many species are represented (really? in 78 years NO ONE has ever thought to count them?) but we estimated roughly 550 species present. One thing I found perhaps more interesting than the collection itself was the fact that Dan, thorough reporter that he is, was furiously scribbling notes. About what, I wondered. Especially after seven previous stops on our day-long adventure! I’d think he’d be wiped out by now. But no, he was smiling ear to ear – and I think I know why. It doesn’t get more random than this (I do actually have a hard time calling it a) museum. 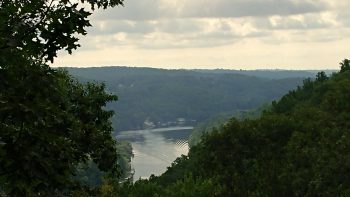 This final stop would be the exclamation point to Dan’s article about me and this blog. How did I know about this? Is this really a museum? Who comes here specifically for this? 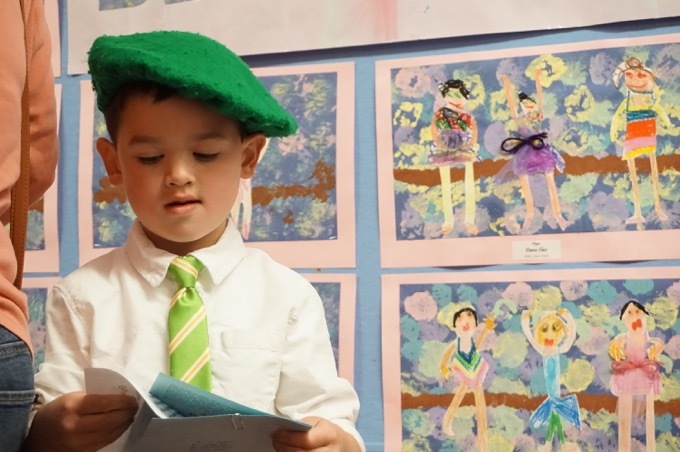 I could see his wheels turning as he noted bird species with funny names like the bobolink and my favorite, the European Coot. I wish we had a coot in our backyard. Every morning I could wake up and say, “that crazy coot is at it again” or variations on that theme. 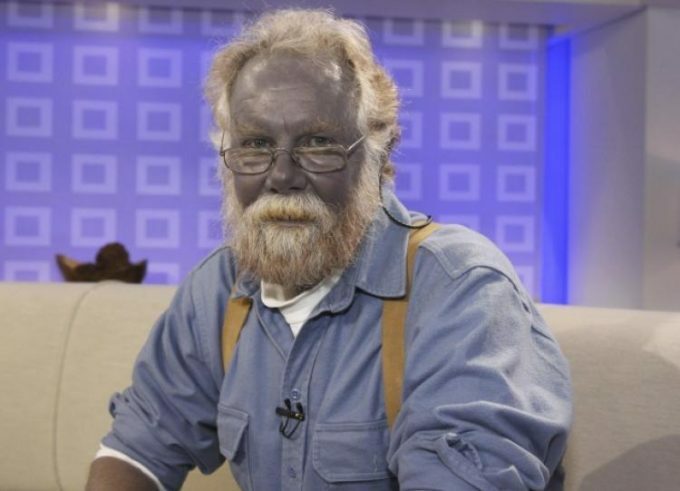 Crazy old coot who turned blue… and later died. 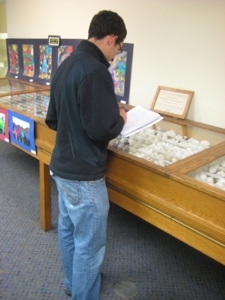 I found myself leaning against a glass case with kid’s art all over it for a quick rest. Then, out of the corner of my eye, I noticed that hidden behind all the artwork was… more museum! The mere fact that it was almost totally hidden from view was certainly a shame, but my sleuthing is unparalleled when it comes to sniffing out museum stuff in Connecticut. If Mr. Lamb is deceased, I’m sure he’s spinning in his grave knowing that little Timmy Johnson’s painting of a peach is hiding the arrowheads he sweated over back in the summer of, oh I don’t know… I’ll say 1932. I took pictures of the artifacts from every angle from which I could see them. 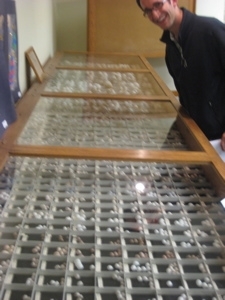 The collection is actually rather large and well catalogued. 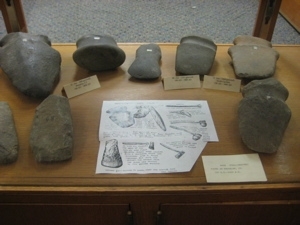 There are arrowheads and axe heads. 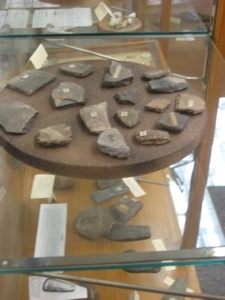 Grinding tools and hammering tools. Stone beads and moccasins. And something new to me: Discoidal rolling stones! What a fun game they’d make! 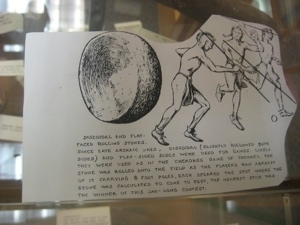 Apparently, according to the interpretive sign, Cherokees would play “Chunkey” during which these stones would be rolled on a field and the man would run along side it and spear the ground with eight-foot poles where they calculated it would come to rest. I have no idea what the rules surrounding when it was too late to spear the ground, and I’m quite sure this gray area resulted in endless arguing. In other words, sports haven’t changed much in 500 years. We had to get going, thus ending our day together. But Dan was still smiling and taking notes. Heck, I think he would have stayed there while I picked up Damian and called him a cab if I’d suggested it. Just as we were leaving, the library aide showed us a dusty old book which contained Governor Trumbull’s meticulous notes regarding his egg collection. But before I could take a look at it, or even take a picture, she had hidden it back away in the secret museum’s secret vault. But alas, I have visited this museum and it is no longer a secret. Oh how I love to see my name in print! 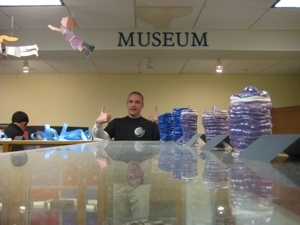 Hope you guys had fun at our cool “museum”. You’ll alert your faithful fans when Freelance Dan publishes his CTMQ article, right? — I’m looking forward to the result.